Choose this 12 day active Vietnam tour and experience the best and the more hidden parts of Vietnam. 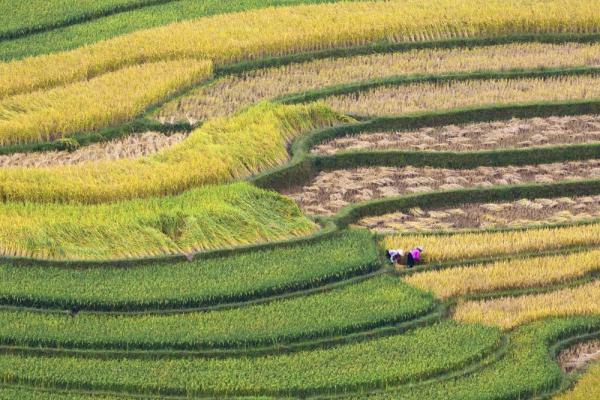 Trek through the Red Zao and Hmong villages in Sapa and see first hand their way of life. Explore the enchanting cities of Hanoi and Hoi An, and spend two nights on a junk boat cruising around the emerald Ha Long Bay. Opt to cycle or rock climb on a choose your own adventure day, or swap out day excursions and add more adventure to your trip! Our best adventure trip in Vietnam. Arrive to Hanoi where you are met and transfer to your hotel. The rest of this first day in Hanoi is at your leisure! This morning, you will meet your guide and driver to make your way towards Hoan Kiem Lake. You will get to see how the local people start their daily routine - by practicing tai chi and aerobics. 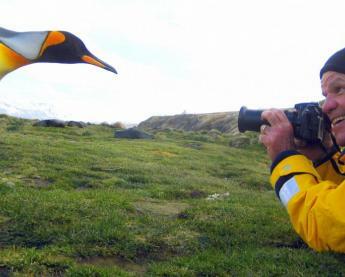 If you want, you can even join the locals in their morning exercise! After visiting the Ngoc Son Temple, located in the middle of the Hoan Kiem Lake, we will visit a traditional coffee vendor where you will be able to try Vietnam’s local coffee: Cà phê sữa đá (Iced coffee). If you feel more adventurous, you can also try the Egg coffee! After our beverage stop, continue walking in search of a street food vender selling the delicious bánh mì to sample the popular baguette sandwich. Later, we will go deep into Hanoi’s Old Quarter on a walking tour. Observe the French architecture and influence in buildings, such as the St. Joseph Cathedral - a French gothic building constructed in 1886. Continue to the Hoa Lo Prison, where Vietnamese, American, and French prisoners of war were imprisoned. To conclude the morning, pay a visit to the Huu Tiep Lake - better known as "B-52 Lake" where there lies US B-5 bomber wreckage. Return to the Old Quarter for a local lunch before visiting the Temple of Literature, built in 1076. Vietnam’s first university was established within this temple and functioned for 700 years! Its beautiful gardens and well-preserved architecture offer a fascinating glimpse into Vietnam’s past. Walk along and photograph Hanoi's railway tracks - some of which are located meters away from house doors! After a long day, finish the evening at the well-known Bia Hoi, where you can enjoy a local draft beer. 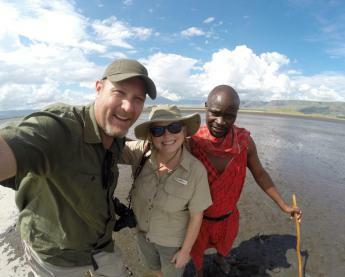 When today's tour finishes, head back to your hotel for refresh and take a shower before evening check out. (Late check out time of 6:00PM included in your reservation) Transfer to the railway station for your night train to Lao Cai. *Since you will have opportunities to try different street & local specialties, we recommend skipping the hotel breakfast this day! Arrive early in the morning in Lao Cai and transfer to Sapa. You will enjoy breakfast in a nice local restaurant, then meet your guide for a short transfer to Hau Thao village. Your trek starts with an ascent to a small Black H’mong village of Hang Da, but from there it is mostly downhill with beautiful views of mountains and the deep valley of Muomg Hoa. A 2 hour hike brings you to Hau Chu Ngai, also Black Hmong village. Experience the traditions and daily life of the Black H’mong minority - the second largest ethnic group in the Sapa area. Drive deeper into the valley and across the beautiful Muong Bo River before reaching the Tay village of Thanh Phu. Continue to the small village of My Son which is home to the smallest minority group in Sapa, the Xa Pho tribe, then onto the remote Red Dao village of Nam Cang. Finally you will cross a private bridge to check into your room in the comfortable Nam Cang Riverside Lodge. Choose to explore the village, wade in the river, or relax in the riverside veranda. The Red Dao minority, known for the most colorful dress of all of Vietnam's ethnic groups, dominates Nam Cang and the surrounding villages. Herbal bath, local medicine, and embroidery are also things that the Red Dao are skilled at and known for. Accompanied by your guide, explore the village and watch the making of writing paper, jewelry, and embroidery. An alternative option is to walk to the nearby jungle camp to visit the cardamom fields. If the weather and water level permits, take a refreshing swim in the river. Late in the afternoon, you will be taken to Topas Ecolodge where you can enjoy an aerial view over the mountains from you bungalow’s balcony. Start the day with breakfast at the lodge before setting out on your half day hike to the Red Dao village of Lech. Follow the road for a while before descending off the beaten path towards a river. 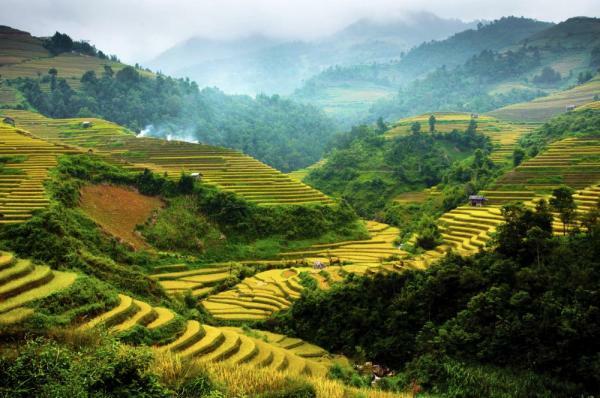 Walking through the rice paddy terraces gives many opportunities to enjoy the magnificent valley view. Cross the river over a stone bridge, then follow a trail up to the village where you can experience their daily life and learn how the women do their traditional embroidery. Head back to the lodge where you can rest or take a scheduled shuttle bus into Sapa. Check-out of your room by 11:00AM and head back to Hanoi by Topas Mountain Express around 3:00PM. Upon arrival to Hanoi, check into your hotel, and enjoy the rest of the day at your leisure. 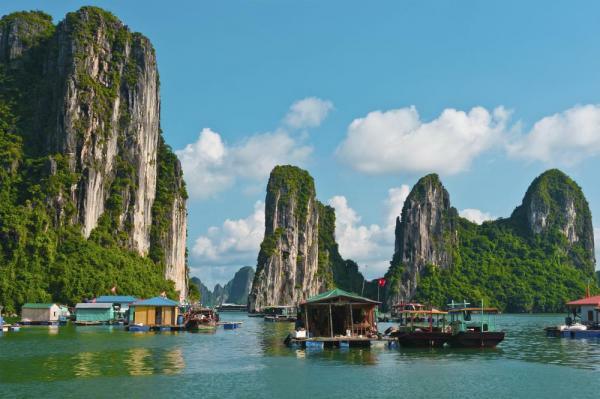 Depart from your hotel this morning to set out for Ha Long Bay - one of the most spectacular UNESCO World Heritage Sites, as well as the world's largest marine limestone karst landscape. Along the way, visit Yen Duc village for a short break from the bus ride and an entertaining water puppet show. Arrive to the pier where you embark your vessel, a traditional Vietnamese junk boat. Settle into your cabin and enjoy a fresh seafood lunch while the boat sails away into the emerald water of the pay. Cruise to the magnificent Bai Tu Long Bay, admiring the fascinating karst limestone formations. 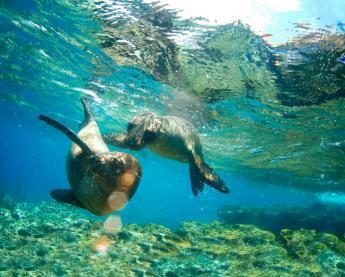 Stop at Cap La and Tra San for some kayaking or swimming near the ship. In the evening, the junk will cruise back through the bay to its overnight anchorage in Cong Do. The rest of the evening will be free to settle into boat life. Enjoy the morning view of the Bay’s landscape at breakfast in the fresh air. Cruising to Cong Dam to discover the geological values of Bai Tu Long Bay by kayaking through the hidden lagoons and geological park in Cong Dam, or go swimming in the crystal clear waters. Return to the ship for a little relaxing before arriving to Hon Co Island for a BBQ lunch on the beach! Continue your adventure with swimming and exploring the well-hidden Thien Canh Son cave. Eventually, you will head back to the ship to enjoy dinner onboard. Enjoy the fresh air and gentle breeze of the bay while having one last breakfast on board. This morning, you will visit Vung Vieng fishing village via rustic row boat. 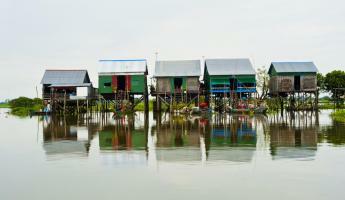 Have an opportunity to meet the local people, as well as pass through the floating school and fish farms. Around noon, have lunch on board while sailing back to Hon Gai Harbor where your driver and guide await you. Transfer to Noi Bai Airport for your short flight to Hue! Upon arrival, your driver and guide will take you to your hotel for check-in. Spend the rest of day at your leisure. This morning set out to explore the countryside around Hue by bike with your guide. 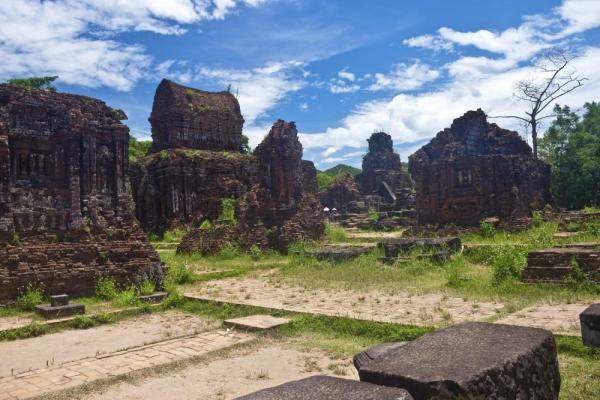 Thuy Bieu is an ancient village long known as a symbol of transition and harmony. 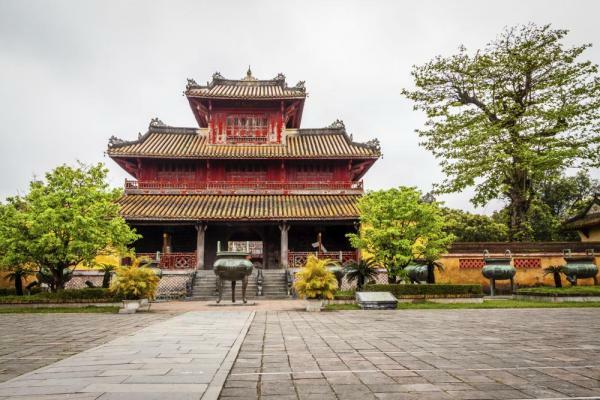 Beside the multiple well-preserved communal houses, the nostalgic beauty of the garden-houses, their aesthetic wooden architectures and Fengshui-based gardens, suggest a mingling of royal legacy and rustic lifestyle. Visit the intriguing Tiger Arena, known as Hue Royal Colosseum. Here the fights of tigers and elephants were held by kings. 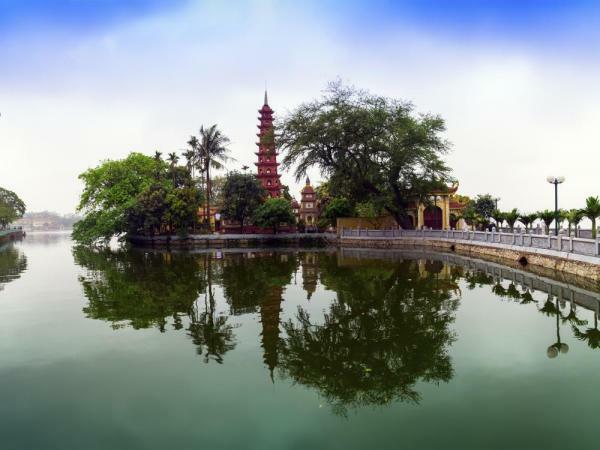 Continue the tour with a cruise on the poetic Perfume River to visit the characteristic Thien Mu Pagoda and the Forbidden Purple City, constructed under the Emperor Gia Long's, in the early 19th century. Gain insight of the past through your day of exploring in Hue - the political, cultural, & religious center of the Nguyen dynasty up until 1945. 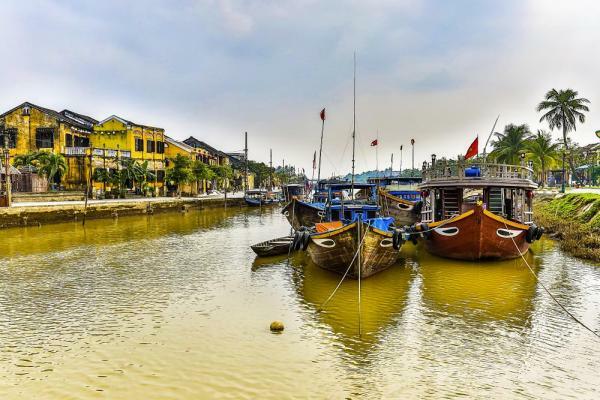 After breakfast head south to Hoi An, a major Asian trading port in the 17th and 18th centuries whose architecture and relaxed lifestyle have been well preserved over the years. The drive takes you through some spectacular scenary along the National Highway 1, such as the breathtaking Hai Van Pass. The pass, which once formed the boundary between the kingdoms of Dai Viet and Champa, also forms a boundary between the climates of northern and southern Vietnam. It is also the highest and longest pass in Vietnam, which provides some great photos of Lang Co beach. Upon arrival to Hoi An take an old town walking tour to discover this charming and enchanting World Heritage city. It is an interesting combination of a charming old world trading port town and new resort area along stretches of white sand beach. Visit former merchants' homes, the 400-year-old Japanese Covered Bridge, the 200-year-old Tan Ky House, the Pottery Museum, Chua Ong Pagoda, and the vibrant local market. Despite the passing of 200 years and the effects of the war, Hoi An remains much the same as it was in its heyday. Spend the evening continuing to explore this beautiful town on your own. Today, you have two exciting activity options: Cycling to My Son, a UNESCO World Heritage Site or exploring the Hoi An countryside by bike. Your excursion preference is to be selected in advance. Meet at 7:15AM at the Grasshopper Adventures shop to get fitted to your bike and get a quick safety briefing. Off we go! Cycling along quiet alleys, your group will reach the riverfront historic district long before crowds descend on the city. It’s a great opportunity for photo-taking. We leave the city behind on our way to My Son, venturing off on rural pathways accessible only by bikes and motorbikes. It will not be long before you are pedaling through small villages, passing family farms and rice fields, and greeting workers along the way. Depending on the season, you might pass rice, corn, or even sunflower fields. Pass hardly any four­wheeled vehicles as you navigate through a network of shortcuts and connections that only locals know. After a break to replenish your energy with fresh fruit and local coffee or tea, enter the UNESCO World Heritage site of My Son. New regulations require parking bikes and boarding electric shuttle vans to get to the main ruins. The impressive temples and towers of My Son were built by the Cham people, and descendants of the original tribes are now scattered throughout this region of Vietnam. Meet at 8:00AM at the Grasshopper Adventures shop to pick up your bikes. This tour begins by exploring the hidden passageways and winding alleys of Hoi An, stopping to photograph the iconic Japanese bridge in the historic district. Continue to the southern villages of Quang Nam Province where a local family invites you to watch the preparation of Banh Beo, a common traditional breakfast staple. The host of this home will also explain the tradition of family chapels, as well as vivid memories of the American war. 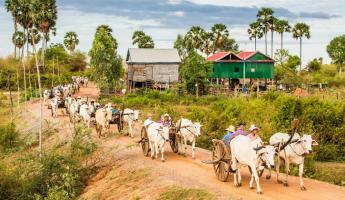 Continue pedaling past rice fields and vegetable farms along small canals and waterways. Our final stops include a traditional mat weaving shop and a family distillery where rice wine has been produced for generations. Of course, samples are provided! It's a short ride from here to the local ferry for your trip back to town. Once at Hoi An's dock, it's a short 5-minute ride through alleyways back to the Grasshopper bike shop. Enjoy a complimentary cold beverage after a fun day exploring Hoi An and the surrounding countryside. 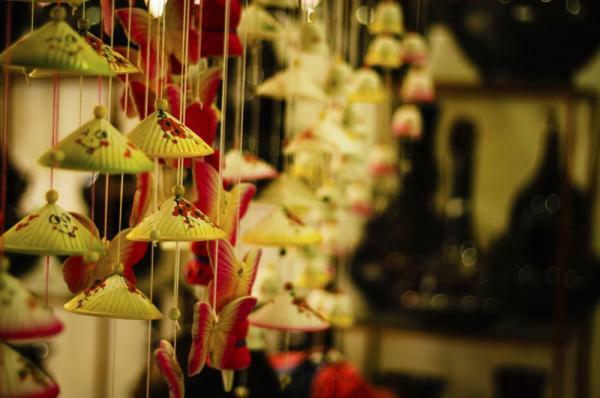 End the tour with a visit to Ha Linh lantern factory, where traditional Hoi An lanterns are still made. You even have the opportunity to make one of your own as a keepsake. Enjoy a free day until it is time to go to the airport for your flight to Ho Chi Minh City. Here connect with your international flight home or independently spend more time exploring this city and Vietnam. First Class Train Ticket, Hanoi - Lao Cai. 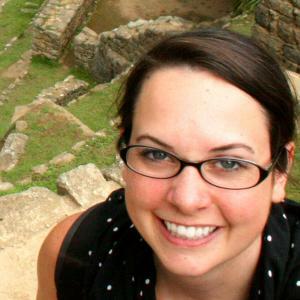 Final payment is due 70 days (10 weeks) prior to departure by bank transfer, check, and credit card. Final payment by credit card may be subject to surcharge and a $20,000 maximum charge.